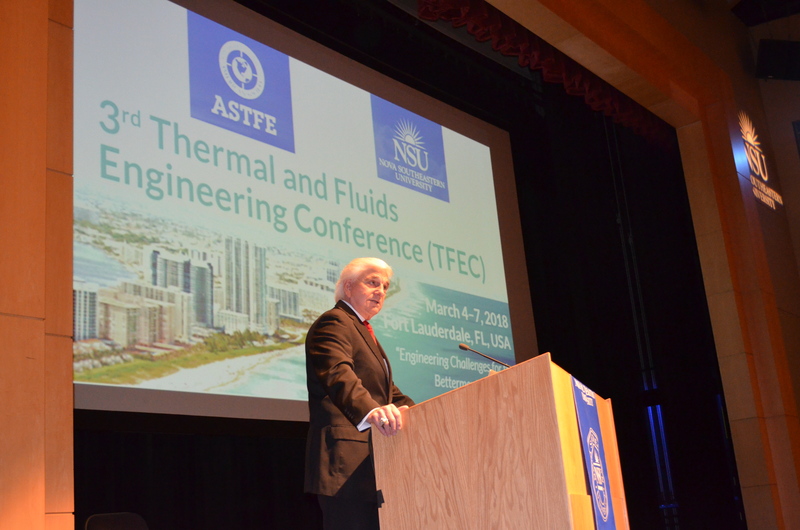 On March 4-7 2018, NSU’s College of Engineering and Computing (CEC) hosted an international conference “3rd Thermal and Fluids Engineering Conference (TFEC)” at NSU’s Fort Lauderdale/Davie campus. 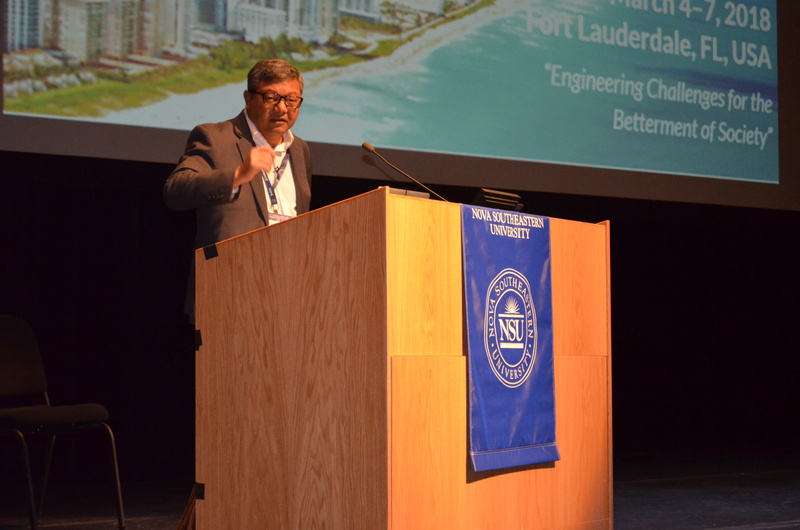 Yong Tao, Ph.D., dean of CEC, was the conferences chairman and was instrumental in hosting the event at NSU. More than 400 scientists from 40 countries presented their research and engaged in discussions about the state of the thermodynamics and fluids science field of research and development. An annual TFEC highlight is the Technology, Entrepreneurship and Communications (TEC) talks where industry and academic entrepreneurs give their inspirational talk on the key technologies being developed and marketed. The American Society of Thermal and Fluids Engineering (ASTFE) is a premier international society formed by industry and academia professionals and brings together experts in this area of research. ASTFE stands as an important source of information about latest developments and breakthrough research in the area of thermal and fluids sciences. NSU’s President, Dr. George L. Hanbury II, delivered a touching speech at the opening ceremony and gave his welcome remarks to all of those who were present from around the globe. Research presentations were given in various sub-areas of thermal and fluids science extending from advanced energy systems, aerospace application, flow in multiphase flows, flow instability to wind turbines aerodynamics and control. Plenary speakers included: Arun Majumdar, Ph.D., Gretar Tryggvasson, Ph.D., and Jane Davidson, Ph.D.
Arun Majumdar, Ph.D., is Director of Precourt Institute for Energy, Jay Precourt Professor of Mechanical Engineering at Stanford University. He served as the Vice Chairman of the Advisory Board to US Secretary of Energy, Ernest Moniz, and was the Founding Director of the Advanced Research Projects Agency – Energy (ARPA-E, 2009-2012), and the Acting Under Secretary of Energy (2011-2012). He is the expert in electrochemical reactions for thermal energy conversion, thermochemical water splitting reactions to produce carbon-free hydrogen, heat transport in nanostructured materials and a new effort to re-engineer the electricity grid. Gretar Tryggvasson, Ph.D., is Department Head and Charles A. Miller, Jr. Distinguished Professor in Department of Mechanical Engineering at Johns Hopkins University. Jane Davidson, Ph.D., is Ronald L. and Janet A. Christenson Chair in Renewable Energy, Professor of Mechanical Engineering in University of Minnesota. More information about this conference can be found on https://www.astfe.org/tfec2018/.